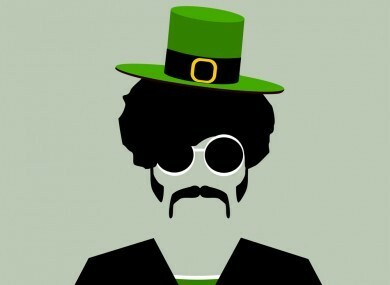 Over the last number of years the hipster subculture has went from strength both in Ireland and across the world. In its simplest form the hipster is a person in their 20s or 30s that value independent thinking, counter culture, progressive politics, and an appreciation for art, indie-rock, creativity, intelligence and witty banter. Despite the common misconception that hipsters are layabouts that live off their parent’s money they are usually well educated and will have degrees in things such as the liberal arts or mathematics. Although “hipsterism” is really a state of mind it is usually intertwined with distinct fashion sensibilities. Thick rimmed glasses, tight fitting jeans and retro footwear are all signatures of the hipster. This all sounds great but the biggest issue that most people have with hipsters, in Ireland anyway, is that behind it all they are as about as bohemian as Donald Trump. It’s the air of hypocrisy and fakeness that grind people’s gears. At its core there is a lot to like about hipsterism but it has been hijacked by affluent and middle class youth who have turned it into no more than a fashion parade for the ignorant. These people will go to extraordinary lengths and spend a lot of money to make it seem like they don’t care and have bought their whole outfit from a thrift store for pennies. In reality they will have been to places like urban outfitters and trendy barbers to pull off their look. Another contradiction is that that these people are mostly closed minded. One of the main mantras of being a hipster is open mindedness but Ireland’s hipster culture does not take kindly to people who are different from them. If you are not wearing the right clothes or do not have the right look then you will be subjected to an air of snobbery and indifference. When the weekend is over you will find Ireland’s hipsters suckling from the corporate teat they proclaim to despise so much. Yes in essence they are money driven and their pursuit of wealth will trump any ideology that they have. Don’t be fooled though they do not and will not see this contradiction and once the weekend comes they will be hitting festivals in their droves with their bandana’s and bangles but once the weekend is over you will probably find Ireland’s hipsters in their suits trying to climb the corporate ladder, their bohemian attitude and thick rimmed glasses that they were not prescribed will be nowhere to be seen. They are committed to their hypocrisy though, that you cannot argue with. The best way to deal with these types of people is really to ignore them as they crave attention. Try resisting the temptation to go on a verbal rampage and point out every contradiction and flaw in their persona. Try not to let them know that you find it hilarious that they try so hard to pretend to be non conformists while being the biggest conformists of all or that behind it all they are less open minded than the North Korean state. Yes sadly there is no point saying all this because such is their delusion they probably won’t even realise that you may be right or that real hipsters are rolling in their graves at the thought of these imposters. Try taking some comfort in the knowledge that at some point in their lives they will realise that they are full of sh*t and try to change their ways. For now though don’t let these people influence your persona or your way of thinking because real independent thought is not something that is usually embraced by the masses.